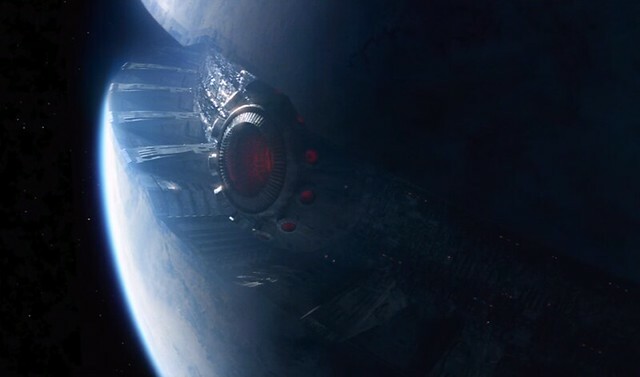 In The Force Awakens, the big weapon of the First Order is Starkiller Base. I looked online for a miniature and could not find any, so I did the next best thing, I made my own. 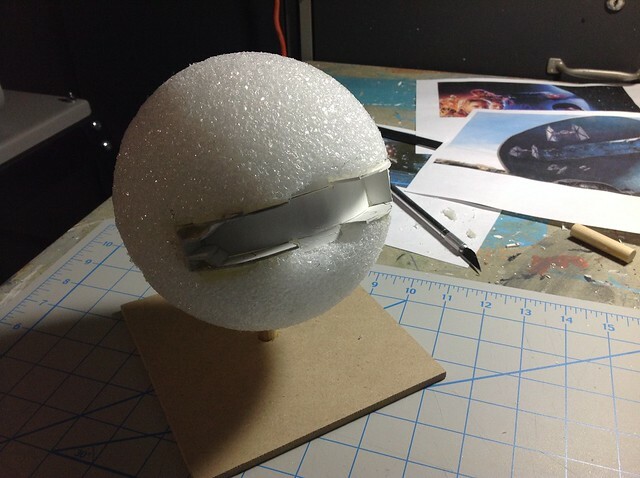 The model was constructed from a 6″ foam ball. A small wooden stand was cut and glued, this would be useful in the making of the model and makes a nifty stand to display the final project on. The trench and cannon were cut from illustration board, then painted. The remaining surface was covered with air dry clay in multiple sections at a time. 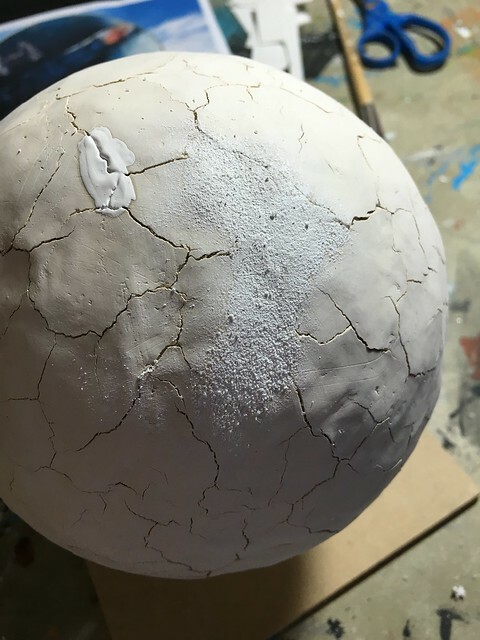 One issue I discovered with the air dray clay was the surface cracked when drying. 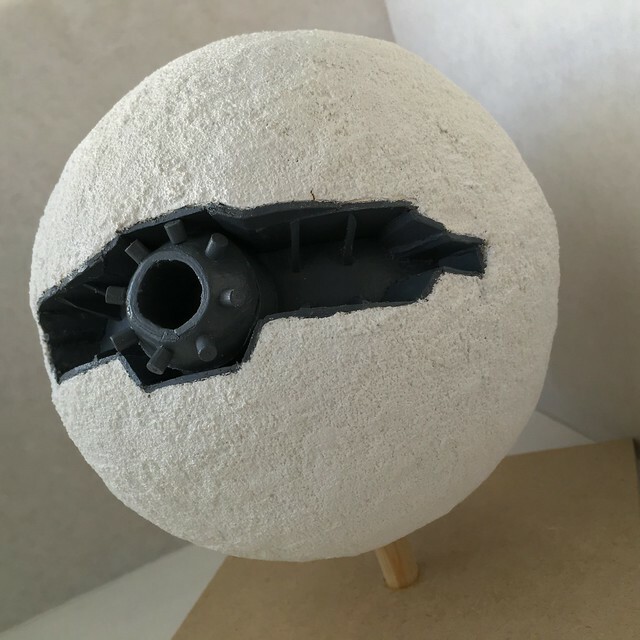 I later learned this was from the surface being spherical, so small expansion crevices were added to the final sections of clay. 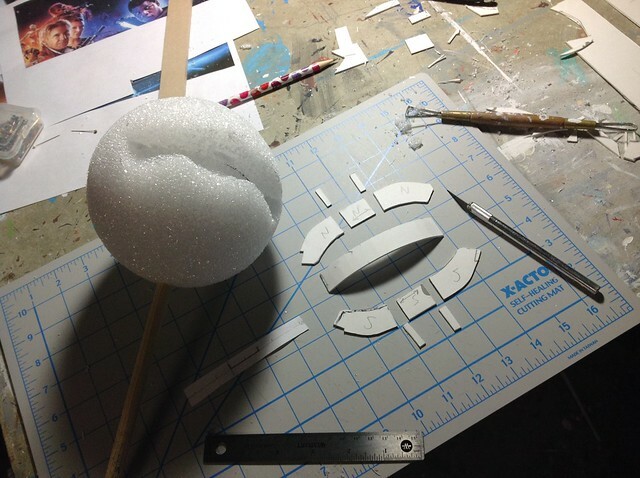 The final surface of the model is composed of Snowtex, the same material used in my Matterhorn model. The model complements my Star Wars action figure display nicely.